Welcome to Casa Angkor Boutique Hotel in Siem Reap, a symbol of comfort that you can conveniently find at the midst of one remarkable tourist destination. A 94 room and suite hotel designed to make you experience the comforts of a home in a cozy colonial setting. Casa Angkor Boutique is run with dedication, keeping minds in our goal of creating tranquil ambience where guests can feel at home. Your stay will certainly be unforgettable from the moment you step in… the warm welcome from our staff says it all. The Casa Angkor Hotel is only 15 minutes drive from Siem Reap International Airport and 10 minutes drive to the world famous Angkor Temples. It’s surrounded by major city sight seeing such as pub bar street, entertainment clubs, banks with ATM, Central and Old market, Angkor Night Market, the National Museum, City River and many more. 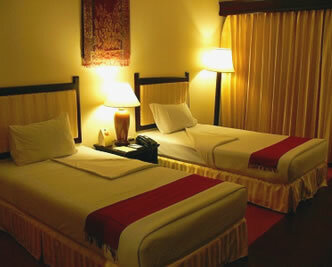 Benefits: Enjoy staying in their Standard room for a special USD 30 room rate only. Upon reservation, kindly indicate the Campaign Name. ※Kindly note that the number of rooms available is limited and may be sold out easily. Welcome drink and cold towel upon arrival plus complimentary use of the swimming pool. Casa Angkor Hotel in larger map.